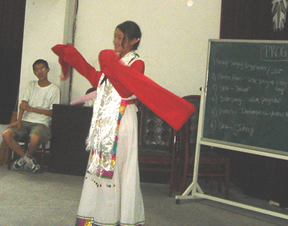 Each summer, Cultural Exchange International will send a small delegation of donors to a poor region of China, where they will deliver the monetary gift directly to the needy children they are helping, or organize life changing activities for the children. 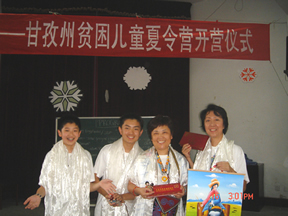 To meet the children, visit them in their homes, and witness how their financial and creative contributions impact the children's personal growth will be an unforgettable experience for these donors. 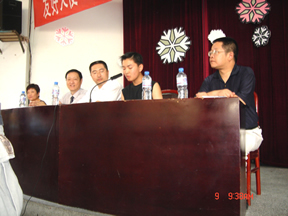 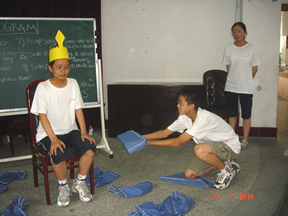 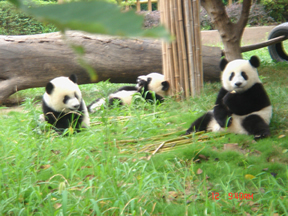 In the summer of 2007, with the help of the Sichuan Provincial People's Association for Friendship with Foreign Countries (SIFA), Cultural Exchange International held its first summer camp in Chengdu , the capital of Sichuan Province . 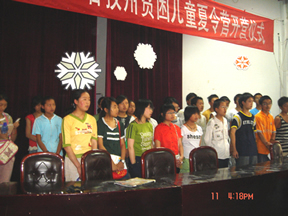 Thirty middle school students, most Tibetans, from remote mountain areas came to the province's capital for nine days, attending lectures, visiting museums and historical sites. 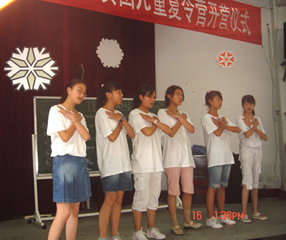 At the end of the camp, they even performed several songs and skits in English.